Pest Control Brisbane? Frustrated with pest issues in the home/office? Specialist help is all you need! Sparkling Pest control is your true companion that can help your home or office free from pests and insects. The professionals in our team offer pest inspection, pest fumigation, and extermination services. Our pest controllers are trained to control and remove all kinds of pest with our complete pest control solution. We offer wasp control, wasp nest removal, cockroach control, spider control, bed bug elimination, spider control, flea control, fly pest control, woodworm removal, mosquitoes control and more. Call now 0410 453 896 for the same day pest control Brisbane. The group at Sparkling Cleaning Services Brisbane have the right knowledge and skills to evacuate every kind of pest that bothers the normality of your life. We have an accomplished group of experts who can help you with the pest issue, be it for residential or business pest control requirement. Our endless hard work and expertise in this field make us one of the best pest elimination services in the Brisbane area, permits us to handle any employment, regardless of how enormous or little. Our skillful experts won’t just understand your present pest emergency, but will also provide you with a thorough inspection, advise on future issues that may arise. Controlling bugs in Brisbane has never been simpler! Connect to discover how we can make your issues vanish! We ensure you’ll be happy you did. Buying home can be anybody’s greatest investment of a lifetime. So, it should be made sure, what you are buying is defect-less and completely safe. If you want your home to be completely yours, a pre-purchase inspection is a must in such cases. We at Sparkling Cleaning Services also offer pre-purchase inspection to ensure that your property is not under the attack of any pests. Call us today and get the best services for pest inspection in Brisbane. We do a detailed inspection with the help of right tools. Hate spiders? Get them out of your premise. Though spiders are not harmful to human unless you tease them. Among a number of spider species, Cellar and wolf are the most common type found in your homes. Some species of spiders can be dangerous to such as Brown Recluse and Black widow, but they are rare. No matter whether spider infestation in your home is high or low, it should be treated. Sparkling pest controllers can help. Our experts are best at removing the spiders from your property in no time using right skills and chemicals. One thing you should note is that all our pest control methods and techniques are safe for humans and pets. Hence, there is no need to worry about skin allergies and other health issues. Not only spiders but our pest controllers are capable of removing all kinds of pest from your home and offices Brisbane-wide that too at competitive prices. So, what are you waiting for? Call us now for Pest control Brisbane and live a pest-free life in a safe and hygienic environment. Bed bugs are those nasty creatures that are made to steal your comfort and peace while you are sleeping. Residing in your mattress, they are most active during the night. And in case the infestation intensity of bed bugs is really high, you can be in serious trouble. From your bedroom, they can spread to other rooms of the home and multiply inside your couches and carpets. When bed bugs are around, you can never be at the peace of mind. 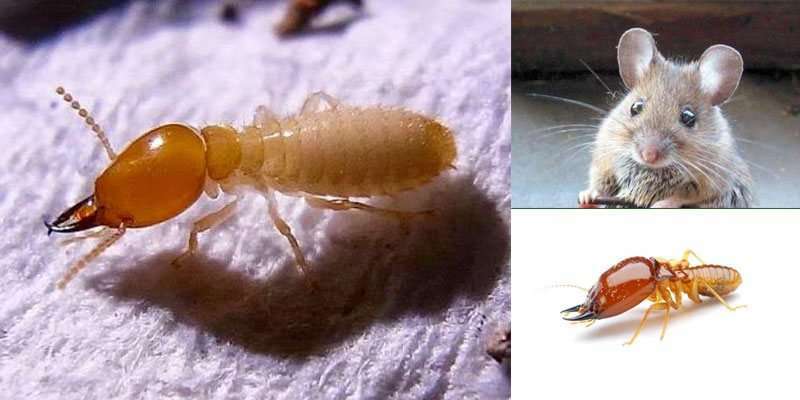 Also, if you try to do bed bug treatments on your owns using some homely conventional methods, you may not get the right results, instead, the infestation may spread throughout the home. So, it’s better your experts for bed bug pest control in the home. Sparkling Cleaning Services also offer the best services for rat pest control Brisbane. Rats and mice infestation can lead to heavy damage of your belongings in the home. They ruin your books, clothes, carpets, boots, wires, food and anything that you can imagine. Controlling rats and rodents at the initial stage of infestation can save you from the loss of many belongings. But if you wait or take their infestation for granted, you certainly invite a headache and huge expenses, that too knowingly. Hence, it is better you go for professional pest control services before it is too late. Call us now and get our specialised rodent control services at exciting deals. Sparkling Cleaning Services Brisbane comprises an expert group that cares for our customers. Our services umbrellas offer following solution. Post Inspection: Once the pests are killed or leave your place, we do a post inspection to look for their trace, and leave your property only after your complete service. We offer customized packages and solutions which have been precisely intended to keep your homes, business establishments, families, and pets secured, all in the meantime. All our treatments employed are environment-friendly and industry affirmed with no hostile consequences for people already affected by this problem. Sparkling Cleaning Services is a renowned name that can provide you with same day pest control service in Brisbane. Our local professional pest controllers can reach your doorstep within a few hours. We will provide a one-time solution for your pest problems. We will treat, remove and exterminate any kind of pest from your premises and leave no mess behind. 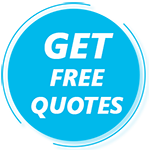 All of the pest control services can be delivered within the same day of hiring. Now get rid of pests completely within a single day and hire Sparkling Cleaning services for pest control in Brisbane today. Why Sparkling Pest Control Brisbane?